Don't miss out on recreational opportunities including an outdoor pool and bicycles to rent. This hotel also features complimentary wireless Internet access and concierge services. Make yourself at home in one of the 49 air-conditioned rooms featuring refrigerators and LCD televisions. Complimentary wireless Internet access keeps you connected, and cable programming is available for your entertainment. Bathrooms have showers and hair dryers. Conveniences include safes and desks, and housekeeping is provided daily. With a stay at ZEN Rooms Legian Troppozone in Kuta (Legian City-Centre), you'll be steps from Bali Bombing Memorial and 12 minutes by foot from Kuta Beach. 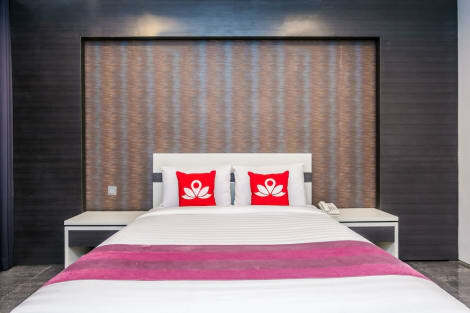 This hotel is 0.7 mi (1.1 km) from Beachwalk Shopping Center and 1.6 mi (2.5 km) from Waterbom Bali. Make yourself at home in one of the 184 air-conditioned rooms featuring minibars. Rooms have private furnished balconies or patios. Complimentary wireless Internet access keeps you connected, and cable programming is available for your entertainment. Private bathrooms with shower/tub combinations feature deep soaking bathtubs and complimentary toiletries. The new Holiday Inn Express Bali Raya Kuta is the smart choice for savvy business and leisure travelers, offering a relaxed, affordable and hassle-free stay every time. 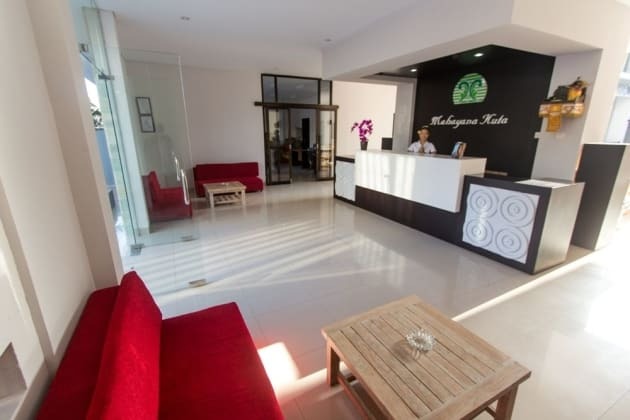 Located on Jalan Raya Kuta, the hotel is near to a newly developed business district on Sunset Road and Denpasar city, as well as to the famous Kuta Beach, Legian and Seminyak. As a hotel near Denpasar business district, we offer easy accessibility to Bali’s major local attractions and Ngurah Rai Bali International Airport is a short 6 kilometers away. We are located within proximity to Kuta Beachwalk, the ultimate entertainment destination in Bali, and just 5 kilometers drive to Kuta Beach, a long broad Indian Ocean beach-front and well known as a surfing paradise. We are also close to Legian Shopping Centre, a premier Bali shopping mall. Hotel guests who are self-driving can enjoy free parking on our premises. This Bali business hotel features 168 brand new rooms and all rooms are well-designed for everything you need for a great stay. Start the day right with our Free Express Start Breakfast or Grab & Go option and stay connected with Free Wi-Fi throughout the hotel. Experience our quality bedding. Recharge after a long day with our power shower equipped with a 3-head massage shower head and have everything in control with our self service laundry facility.